No setup fee! Simply request a license number and start providing filtering services to your customers within an hour! 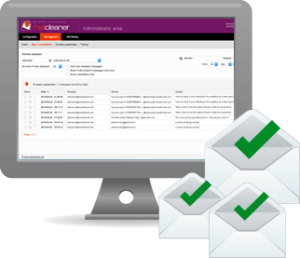 MailCleaner Virtual Appliance will install very quickly on the virtualisation system of your choice. Within 15 minutes you can start to filter email traffic. No skills are required, the Virtual Machine does work automatically and the configuration is performed over a web interface.